Guangdong Province, the power house of Chinese economy in South China, has officially launched its Economic and Trade Office in Great Britain in an event on Friday, 27th June 2014. Guangdong Economic and Trade Office is setup to represent the Guangdong Province in the UK and to promote, encourage and support the economic and trade exchange and cooperation between Guangdong and the UK. It will proactively support Guangdong companies doing business in the UK & Europe and British companies doing business in Guangdong and China. Guangdong is the economic centre of Southern China. With its population at 104 million and GDP of $1 trillion, Guangdong leads Chinese regions in successive decades not only in market size and economic scale but also in manufacturing, technology and international trade & investment. In 2013 Guangdong reached a significant milestone: $1 trillion in GDP which makes up one-ninth of China’s total and $1 trillion in import and export, which accounts for one in four pounds of Chinese. Guangdong is the undisputed gateway of trading with China with its export amount to one in four pounds of Chinese export. A quarter of current British trade with China goes through Guangdong. More and more Chinese companies from Guangdong are investing in the UK market. Leading technology companies like Huawei, ZTE, TPLink and Hytera have made Thames Valley and the areas around Heathrow — the Silicon Valley of Europe – home for their European HQ. Establishment of official representation of Guangdong Province in the UK is to boost the ever expansion of trade and investment between the UK and Guangdong and South China. Guangdong is the economic driving force of Greater Pearl River Delta Region, which include Hong Kong and Macao. In June 2014, Chinese Premier Li Keqiang led a large business delegation visiting the UK and signed a historic £18 billion worth of agreements. 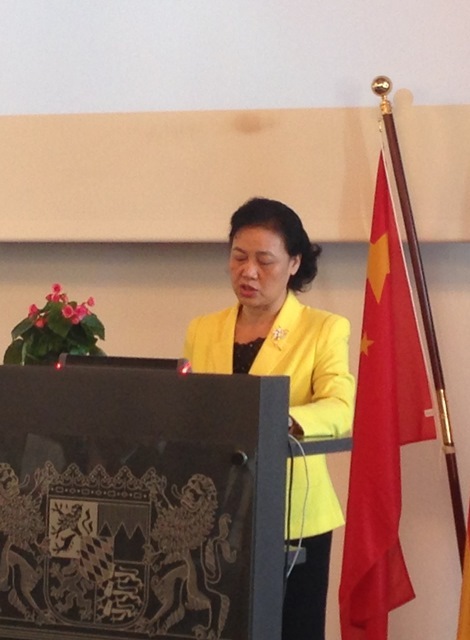 Days after the visit of Li Keqiang, the Guangdong Economic and Trade Office was unveiled in Europe by Vice-governor of Guangdong People’s Government, Madam Zhao Yufang and a senior delegation from the Guangdong Government The announcement was made on 27th June 2014 at a seminar participated by more than 200 Guangdong and European businesses. 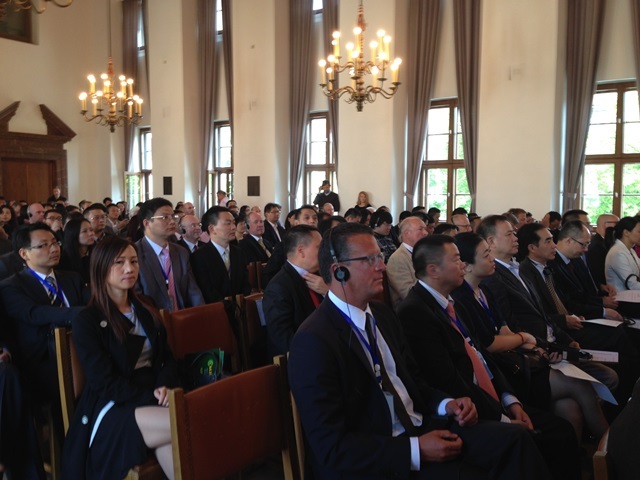 Witnessing the unveiling event are more than two hundreds European and Chinese officials and companies from a wide range of business sectors including environment, power engineering, lighting, energy, consumer goods and leather manufacturing, porcelain, digital technologies, machinery, etc. Dr Kegang Wu, Executive Director of BCC LinkToChina, will head the office as its Chief Representative. The Guangdong Office is collocated with BCC LinkToChina based at offices of Thames Valley Chamber of Commerce. This entry was posted in Guangdong, 广东 and tagged Guangdong, Guangdong Economic and Trade Office in UK, Guangdong Office, 广东省驻英国经贸代表处. Bookmark the permalink.